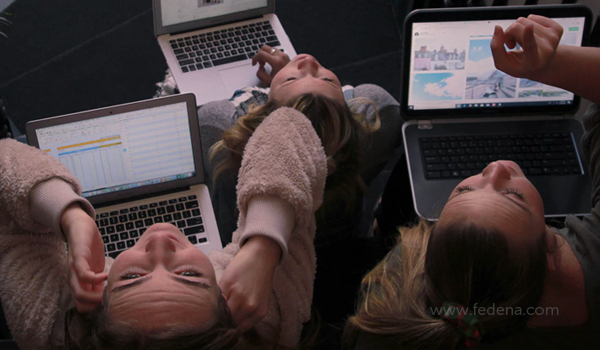 It’s a new world – Classrooms aren’t what they used to be. Robotics labs and teacher holograms might seem like frivolous marketing tricks used by private institutions looking to justify their exorbitant fees. Do your kids really need to work with local artificial intelligence start-ups building their very own robot dog for a 7th standard science fair project? Is it even teaching them a subject’s basic fundamentals as rigorously as you were taught? It all seems a little too much. Classroom technology, whether it is Skyping with your sister classroom in rural Uganda to learn about farming techniques in the region, or having access to some of the best technology to help build that robot dog, is more than just a cool extracurricular to include in your college applications. Depending on how old your scholar is, it is highly likely that they were the first generation experiencing developmental technology from the very womb. Whether it is carefully planned music and teaching modules to be played to the mother’s belly during her pregnancy, or an app that promises that your diapered infant’s first words will be “je ne suis pas une pipe”, kids interact naturally with classroom technology. It was their first teacher, so why not continue using something they already instinctively learn from? The sheer amount of information we now have access to is staggering. Libraries will always have an important role in every student’s life, but real estate is costly, and classroom technologies are indispensable. They give you access to resources that cover chasms in knowledge at a fraction of the expenditure investing in physical resources would entail. Wikipedia is oft-derided but is the first point of learning for students world over – whether they are sitting in a fancy Silicon Valley private school classroom or the one room hut that schools students from the surrounding five villages in rural India. Read more: Boon or bane the usage of mobile phone for students? Not all students learn the same way. Earlier, we focused on teaching to the majority, assuming that those who couldn’t keep up were merely weaker students. Research has shown that different learning styles exist and it doesn’t make sense to exclude entire swathes of students in a globalised world where specialisation in obscure areas is king. Classroom technology is an economical way to teach diverse students. As the world grows older, it grows more complex – and so does its requirements. There has been an explosion in the diversity of skills required to keep our world functioning smoothly. While doctors and engineers remain popular professions, advances in the field mean that our understanding of these roles has become more specialised. Classroom technology aids us in understanding this granularity – whether it be an advanced microscope in our labs that helps us better understand our future geneticists understand the building blocks of our body or machines that let us experience what zero G feels like for the future space engineer. The most obvious, but vital, reason we need classroom technology is that it helps prepare students for the real world. Computers were once thought to be specialised equipment that would only be used by the bespectacled, nerdy, little men scribbling away in damp basement labs in crumbling old universities. Or by the government for a secret project to destabilize some enemy regime, of course. But here we are – with us typing this for you on an ancient Dell laptop, and you reading it on your snazzy little desktop or top of the line mobile device. Shouldn’t we be preparing our children as early as possible in life for our inevitable technology fuelled and sustained future? 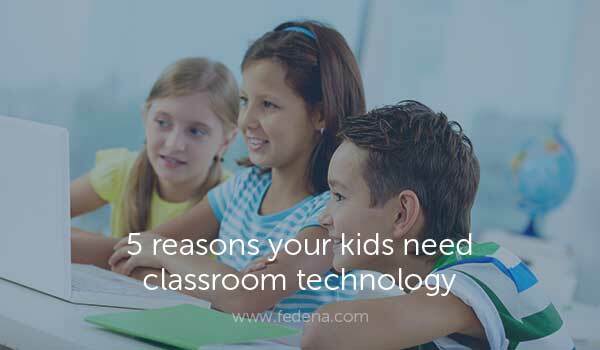 Classroom technology is the most practical and sensible starting point. Next PostNext 5 Education Technology Gizmos You’ll Want Today!